Synopsis: Maria and Alice talk a bit about how hard Nagi is working. Maria remarks that Nagi always tries very hard when she’s decided on something but ends up losing anyway. Still, it’s okay because Maria will always be there to comfort her when she messes up. Meanwhile, Nagi is hard at work on her manga and even Chiharu is concerned as she’s taxing herself by working hard even though she’s a bit sick. We then get a little bit more into the Ojou-sama’s head and how she really feels about the entire situation. Basically, she’s doing things with a heavy heart because she realizes that Hayate has no reason to root for her to win in this competition even if she’s trying so hard. She laments how Hayate would indeed be better off with Ruka, especially after she heard that apparent confession he made in chapter 413 and how Hayate probably doesn’t care for her seeing as he’s never called even though she’s in so much trouble. She begins to doubt whether he would even come if she called for him. 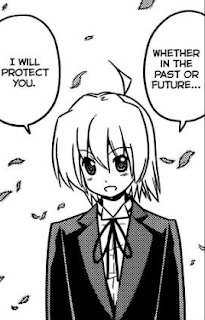 Hayate’s promise to protect her both in the past and the future keeps playing over and over in her head. Better make good on that promise son, or I'mma install a faucet to your side. Fed up with everything, Nagi slams her hand on her desk causing her to make the ominous fortune that she received at the Kyoto Shrine to come true. 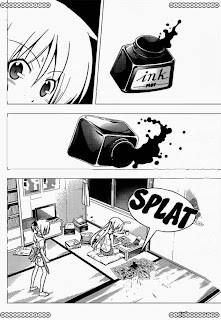 In other words, she really did spill ink on her manuscript. Chiharu and Maria rush to try to salvage the manuscript, but Nagi ends the chapter by declaring that she’s had enough. That silly fortune actually came true. Review: Didn’t expect this one to be a Nagi chapter, so I’m definitely pleased. Let me start by saying that Nagi needed that emotional outburst in this chapter – she really did. It’s also about time that we saw something more from Nagi’s side of the story in this arc. This chapter is basically Nagi’s real, long-delayed reaction to witnessing Hayate apparently confessing to Ruka in chapter 413 as well as everything else that Hata has been putting her through in this arc. I like the way Hata is tying up the seemingly convoluted plot that he began to concoct ever since the Kyoto and Ise portion of this arc. Even the joke-type “Loser! You will spill ink on the manuscript” fortune actually came true with real consequences. I feel that it’s a great twist to the story since with all the build-up leading to this point, many people seemed already convinced that it’s a done deal that Nagi would win the doujinshi competition. This last-minute twist totally screws with that theory and betrays expectations in a positive way as Nagi certainly doesn’t have enough time to draw up a good manuscript before the competition if she has to start from zero again. Furthermore, it doesn’t appear as if she can recover from her current emo mode in time to still make a last-minute desperate effort to draw a decent manuscript. She’s practically given up on the competition at this point with everything seemingly working against her, which I believe is well-justified. The fact that Nagi is, by all appearances giving up at the end of this chapter is sure to spur on her haters, but again, I would like to reiterate that given chapter 413 and everything else that she’s been through in this arc so far, she was due for an emotional breakdown sooner or later. The only question that remains now is how she deals with her depression. I have high hopes that the next chapter will be quite something to read, so I won’t make any predictions. At this point, instead of making speculations, I think it’s more enjoyable to just wait and see what Hata-sensei has in store for us. The next chapter will be commemorative of 9 years of serialization for Hayate no Gotoku now, and what better way to set it up than this chapter? Hoho! 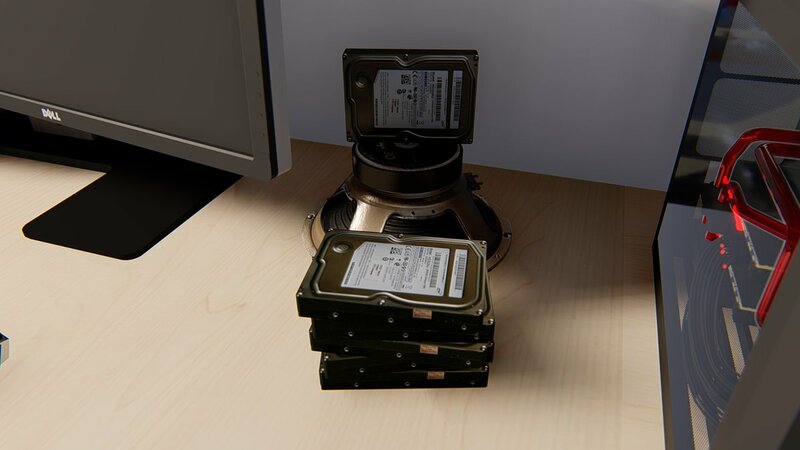 What have we got here? CTMEOY officially canon? Also, all you Hayate fans out there might be interested in reading MadMac's post about Nagi's character development at this forum. Hahaha. Post a comment once in a while, geez! Hi there. I'm not a member of any Hayate related forums/subforums. 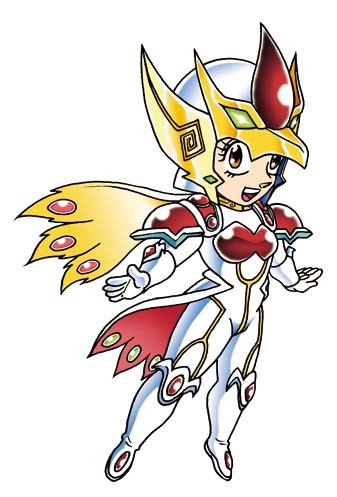 I just like to lurk everywhere and I find your discussions at the rpg forums and animesuki quite refreshing compared to places like mangafox/mangahere manga whatetever. Oh I know how it is. I just laugh because I find people quoting me in the most unexpected places. I actually just stumbled across your blog a few weeks ago. It's cool that you do your own art. Ah thanks. I'm not that good at drawing, but I'm probably semi-competent. I'm fairly new to this manga, but it's become my favorite in the few short months that I'd become acquainted with it.